Updated | The kids’ vitamins aisle at your grocer or health food store is the kind of nook only a madcap like Willy Wonka could have dreamed up. It’s brimming with bottled Technicolor promises in the form of vitamins, probiotics, fish oils and herbals. Clear containers encase winsome teddy bears (Yummi Bears) and sugar-sprayed sea creatures (Dolphin Pals). Remember Flintstones vitamins? Today, there are 11 varieties. This generation of children barely knows who Fred and Wilma are, but the crunchy shell and fruity, chewy center of Dino Eggs have a high cute quotient, making them irresistible to a certain age group. Then there are the dietary supplements aimed at teens (often with attractive, athletic girls and boys on the packaging) and even the preteen set. Dietary supplements—a broad term that includes vitamins, minerals, herbs, botanicals, probiotics and amino acids—are big business. The $26 billion industry has grown by 27 percent in the last five years. Pediatric supplements are a $573 million chunk of that, according to Euromonitor, a market research firm. The most popular supplement is the vitamin category. Researchers at U.C. Davis Children’s Hospital have estimated that one-third of U.S. children take some sort of daily vitamin. Most of the brands tout myriad health benefits. Vitamin Code Kids is made with lots of organic ingredients, including Brussels sprouts, kale, cucumber, garlic and blueberries. It also has probiotics, and its makers market it as the “chewable whole food multivitamin.” With a smorgasbord like that, why bother making dinner? A big seller these days is vitamin D; a recent report concluded that vitamin D deficiencies may cause hypocalcemic seizures, growth disturbances and rickets and perhaps influence cardiovascular disease, diabetes and cancer. The problem, though, is that what’s on the label probably doesn’t match what’s in that pill or gummy bear. In 2013, Kaiser Permanente studied 55 bottles of over-the-counter vitamin D supplements. While these were adult supplements, the findings shed light on the murkiness of product labels. The amount of vitamin D in the tablets varied from 9 to 146 percent of what was listed on the bottle. That also varied widely from pill to pill in the same bottle. This can have real repercussions, as in a case published in Pediatrics where seven children under 4 years of age overdosed on vitamin D because of a manufacturing error. These kids were taking fish oil pills with 4,000 times the labeled concentration of vitamin D and began experiencing symptoms like nausea, vomiting, loss of appetite and fever. They recovered, but manufacturing errors can be fatal. Last October, an 8-day-old premature infant died in Connecticut’s Yale-New Haven Hospital after doctors gave him a probiotic course of ABC Dophilus Powder. The probiotic, manufactured by Solgar in New Jersey, was recalled by the Food and Drug Administration (FDA) a month after the death. A U.S. Centers for Disease Control and Prevention (CDC) investigation showed that the batch from which the child’s probiotics originated—along with other batches—was contaminated with a potentially fatal fungus that emerges from rotten vegetables. The boy’s family filed a wrongful death suit in April against the company and the hospital. The case is pending; according to Solgar, the contaminant did not enter the probiotics at any point during their production process. “After a thorough investigation in collaboration with the CDC and FDA we did not find the contaminant at any point along our supply chain—from the raw materials, to the manufacturing and packaging, to its transportation and delivery to the hospital pharmacy where it was dispensed,” says Andrea Staub, vice president of communications for Solgar. Yale-New Haven declined to comment. 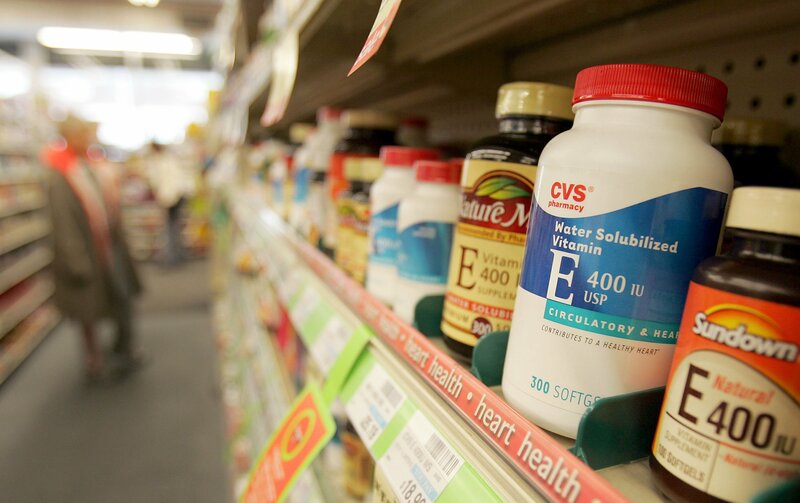 It’s no surprise that some health advocates want supplements regulated like prescription drugs. Dietary supplement manufacturers and distributors are not required to obtain approval from the FDA before marketing their products, but they must register with the agency, make sure their products are safe, steer clear of misleading claims and follow “current good manufacturing practices” (cGMPs). The burden of vouching for the quality of the raw materials is on the manufacturer. That concerns Dr. Frank Greer, a neonatologist and professor emeritus of pediatrics at the University of Wisconsin School of Medicine and Public Health. “Most of the vitamin C in the world comes from China,” he says. “And they have not always had a good reputation when it comes to quality control.” In recent years, Chinese companies have made headlines for manufacturing fake drugs, lead-laced ginger candies sold in California grocery stores and contaminated pet treats that killed over 1,000 U.S. dogs. But as the Kaiser Permanente and other studies have shown, standards are not always met. 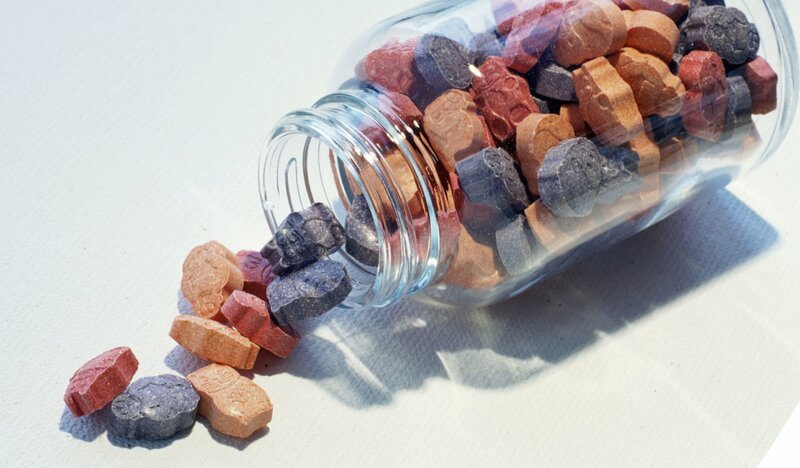 “Trade associations will tell you supplements are a regulated industry, but because it is self-regulated, it’s essentially unregulated,” says Sarah Erush, clinical manager of the pharmacy department at the Children’s Hospital of Philadelphia. “It is like letting the fox guard the henhouse.” That’s why she took the unusual step of prohibiting parents from bringing in supplements while their children undergo treatment at the facility. Erush and her team have instead approved a spartan list of 30 brands—including vitamins, minerals, amino acids and herbals—that they feel comfortable administering. The first thing Erush looks for in a product is whether it carries the U.S. Pharmacopeial Convention seal of approval. The USP is an independent nonprofit that sets public standards for quality in food, drugs and dietary supplements. The USP will—for a fee—independently audit the purity, potency, stability and disintegration of supplements, ensuring that products contain the ingredients listed and adhere to FDA guidelines. The organization will not say whether a product is effective. While its seal is considered the gold standard, USP isn’t the only independent supplements auditor rushing in to fill the gap in our regulatory system. NSF International is another nonprofit with a similar seal of approval, and ConsumerLab.com tests supplements purchased from store shelves and accesses the results for a fee. The NPA also has a voluntary third-party audit program run by Underwriters Laboratories that confirms if a manufacturer is following cGMPs. Many adult supplements carry the USP seal, but only one children’s vitamin, Kirkland Children’s Chewable Tablets, does. I spoke with John Atwater, senior director of the USP verification programs, to make sure I wasn’t missing anything, and he says established pharmaceutical companies like Bayer (Flintstones vitamins) and Pfizer (Centrum Kids) feel they have enough brand recognition and strong internal protocols to forgo an external audit. I contacted Bayer and Pfizer, and they confirmed Atwater’s statement. “While USP certification is useful for newer and less well-known manufacturers to reassure consumers about quality, the Flintstones brand and Bayer names provide the same assurance to our consumers,” says Tricia McKernan, Bayer’s consumer care vice president of global communications. Both manufacturers also say their products are tested during production, prior to release and even while on store shelves. There’s also the possibility that the stuff in the supplements—even the ingredients that are meant to be there—are not good for children. My kids pine for Trader Joe’s Gummy Vites. After studying the label, I found no USP seal and, for example, only 80 international units of vitamin D (20 percent of the recommended daily dosage). Other ingredients include glucose syrup, sucrose and gelatin. Lots of popular brands have these and other filler ingredients, such as corn syrup, sorbitol, hydrogenated coconut oil, soy, shellac, artificial flavors and artificial colors. They are all deemed safe by the FDA, but not everyone agrees that they are harmless. “You should definitely scan the label for additives and sweeteners,” says Radhakrishnan. “Sorbitol in excess is a laxative, and there is conflicting evidence on whether or not some artificial colors have been linked to ADHD.” Numerous studies have linked artificial colorants with aggravating symptoms of attention deficit hyperactivity disorder in children. In the European Union, foods with artificial food dyes must carry a warning label stating that they “may have an adverse effect on activity and attention in children.” In the U.K., artificial colors have been banned. In 2011, the FDA’s food advisory committee debated similar action, but concluded that the current data did not support a causal link between certified color additives and ADHD. For most kids, a magic gummy is sweeter to chew on than a forkful of frisée, and the aggressive marketing of kids’ colorful vitamins makes them hard to resist. The latest American Association of Poison Control Centers annual report documents over 32,000 concerned calls relating to pediatric vitamin exposure in children 12 and younger. In over 1,500 cases, children were treated at a health care facility for minor to moderate symptoms. What’s a parent to do? Talk to your pediatrician and embrace a mantra of moderation. If it makes you feel better, give them that Dino Egg. Just keep the bottle on the top shelf, and don’t believe everything you read on the label. This story has been updated to include a statement from Solgar, the manufacturer of ABC Dophilus Powder.